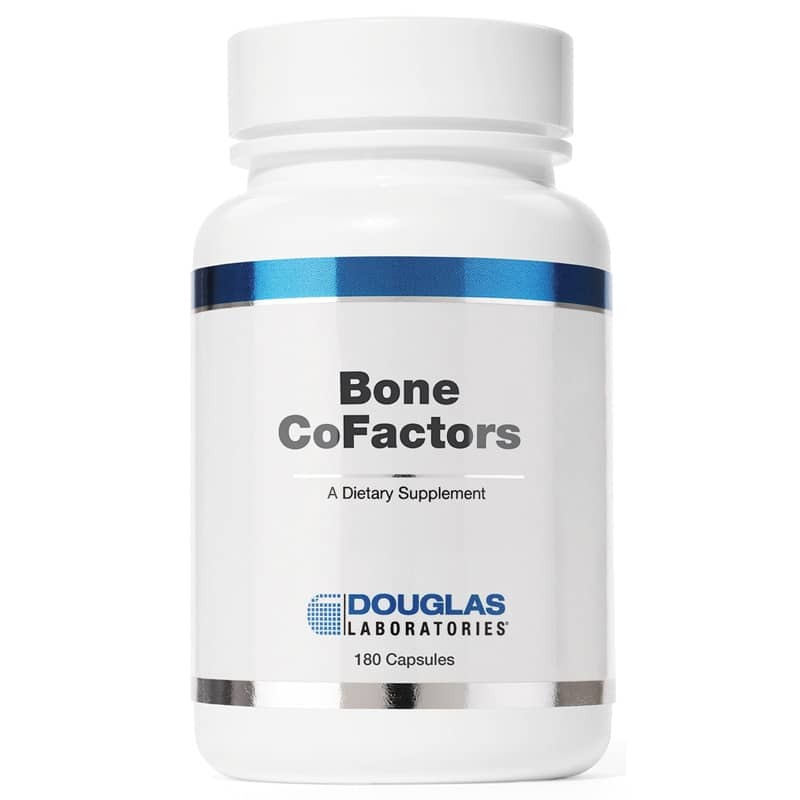 Bone CoFactors from Douglas Labs is formulated to provide the necessary vitamins and minerals combined with a milk protein called MBP that helps to support bone strength. 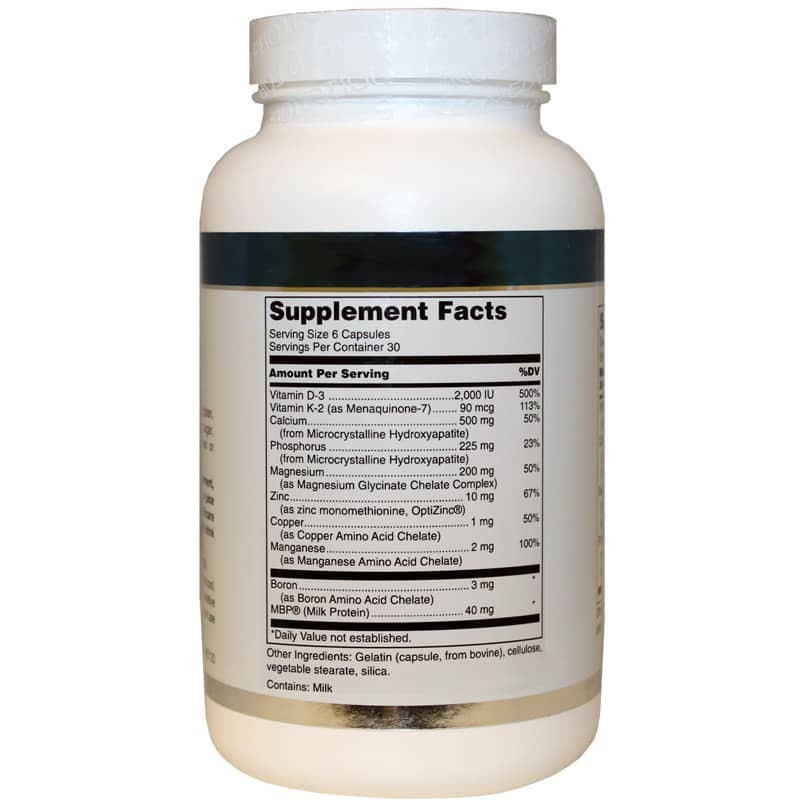 MBP has the distinctive function of balancing osteoblast and osteoclast activity, which complements the function of other nutrients in Bone CoFactors for optimized bone health. Other Ingredients: Gelatin (capsule, from bovine), cellulose, vegetable stearate, silica. Contains milk. Contains NO: yeast, gluten, soy protein, corn, sodium, sugar, starch, artificial coloring, preservatives or flavoring. MBP is a registered trademark of MEGMILK SNOW BRAND Co., Ltd. in the U.S.A. Adults: As a dietary supplement, adults take 6 capsules daily in divided doses with meals, or as directed by a healthcare professional. 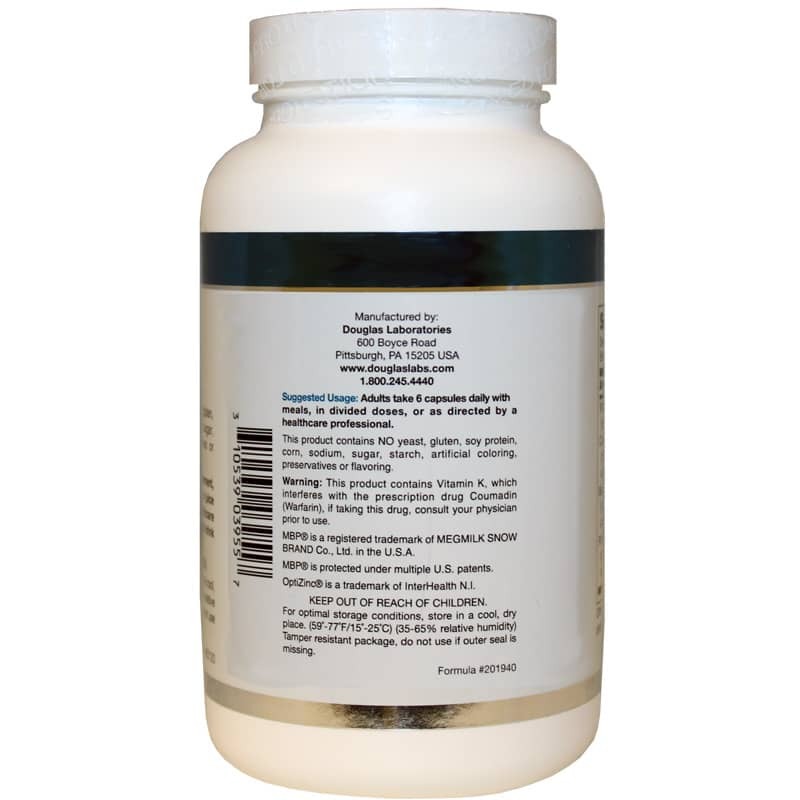 This product contains Vitamin K, which interferes with the prescription drug Coumadin (Warfarin), if taking this drug, consult your physician prior to use. If you are pregnant or nursing, please consult your healthcare professional before using this product. Keep out of the reach of children.